In 2017, Prairie du Chien Country Club converted its rustic golf car storage barn into a special events pavilion. 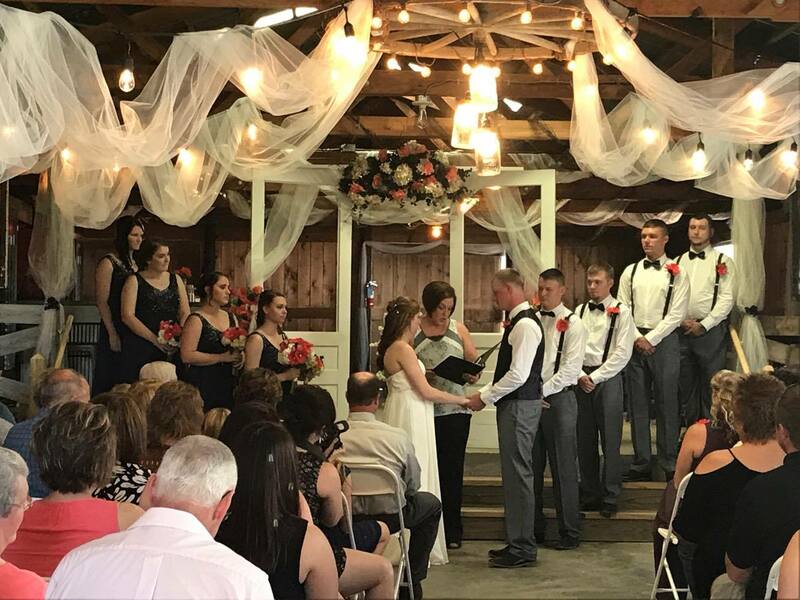 The club added a new concrete foundation to support a 40′ x 60′ sidewalled tent, as well as a state of the art restroom trailer and portable heating units for spring and fall weddings. We can now comfortably accommodate weddings and special events up to 285, and with additional tents have hosted weddings of 400+. The setting is a great combination of new and old and with the addition of our new clubhouse, makes for a beautiful and fun setting for nearly any event. Your guests will truly enjoy this venue! Additionally, our facility provides the best value in the area. The $ 1,500 hall rental fee include tables, chairs, and basic linens for up to 300 as well as a Golf Membership for the couple to be! ), the best food in the area (all food prepared on-site), and one of the most scenic venues in the area (overlooking Prairie du Chien Country Club’s beautiful golf course). Additionally we can customize a menu to your wants and needs or order off our standard banquet menu. The 18-hole Prairie du Chien Country Club in Prairie Du Chien, WI is a scenic golf course that first opened in 1958 and redesigned by Gilmore & Graves in 1993.